While it might be hard to imagine a world where you can print your clothes at home,�start imagining because�this year at CES 3D printed clothing is making headlines. From 3D printed dresses to custom shoes�more and more companies are entering the 3D printed clothing space, often debuting their latest technology and designs at CES. Like most 3D printed garments we’ve seen so far there’s a certain rigidity to 3D printed clothing that can leave it missing a bit of the magic that fabrics like cotton offer. Companies like Electroloom are designing printers that make more natural-feeling fabric but let’s be honest, these are still the early days and the market is just starting to develop. 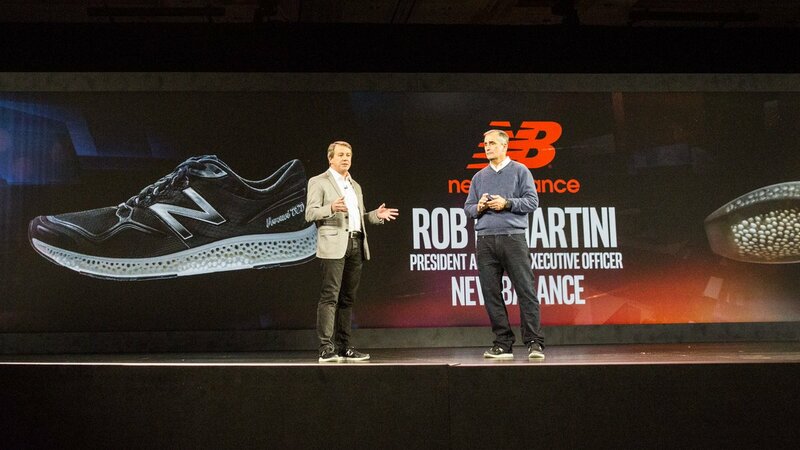 On Tuesday Intel and New Balance announced a partnership to create custom 3D printed midsoles for shoes, allowing them to truly customize each shoe to the wearer. The marriage of technology and fashion has led to incredible innovation over the years and it’s clear that�what we’ve seen so far is only the tip of the iceberg.  Archived in Fashion Industry, Fashion Technology and tagged 3d printed clothing, 3d printing, fashion at ces, printing clothes. Bookmark the permalink. Yeah 3D is great trend. I love it. As you mentioned above a 3D image is looking awesome and i think it’s a great idea about clothing. keep it up.. Great job.